AFIT HND/PGD Admission Form 2019/2020 and Registration Guide for Direct Entry Admission. 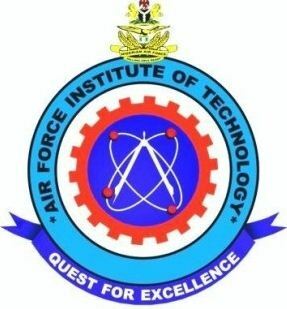 AFIT HND/PGD Admission Form 2019… The Air Force Institute of Technology (AFIT) Kaduna Pre-HND, HND & PGD Admission Screening Form [Post-UTME], Courses, Admission Requirements and Guidelines for 2018/2019 Academic Session. This is to notify the general public that admissions into programmes offered in the Air Force Institute of Technology are open. Traditionally, admission into the Institute is gained through the JAMB UTME entry route. However, admissions could also be gained through direct entry into any of the Institute’s programmes other than the National Diploma programmes. Aircraft Engineering Technology (Airframe/Power Plant Option). Aircraft Engineering Technology (Avionics Option). Post Graduate Diploma (PGD) Programmes. a. MSc Aerospace Vehicle Design (Airframe and Airframe Systems Option). b. MSc Aerospace Vehicle Design (Avionics Systems Design Option). d. MSc Computational Fluid Dynamics. (3) In exceptional cases, a candidate with ND at pass level (CGPA of 2.0 – 2.49) who has 2 or more years of post-ND cognate work experience may be considered for admission into the Pre-HND programme. Post Graduate Diploma (PGD) Programme in Supply Chain Management. Having been assigned a Receipt Number and a Confirmation Number by the bank, candidates should visit the AFIT website (http://www.afit.edu.ng) and click on the ‘Direct Entry Registration (Pre-HND, HND, PGD)’ Link. Select the application form applicable to you (Pre-HND, HND or PGD), and insert the Receipt Number and Confirmation Number obtained from the bank. After verifying your payments, click on the ‘Resume Registration‘link to resume registration. Upload their passport photographs as required on the page and continue (Note: The candidate’s phone number is his/her identity on the portal.Therefore it is important to provide a valid phone number). Thereafter, candidates should upload the necessary documents (e.g. Degree/ND certificates, etc) as required on the page. Proceed further to print your Photo Card for a successful application. The Photo Card contains candidates’ basic identity information and would be required for confirmation of application for admission into the Institute. All applications for admission will close on Friday 15 August 2018. Successful candidates would be contacted via SMS and also published at the Institute’s website at the appropriate time. Therefore candidates are advised to provide valid phone numbers during registration. Candidates are equally advised to visit the Institute’s website from time to time for important information after successful registration. For further enquiry, candidates may wish to contact us on 081555559571/09074411999. Air Force Institute of Technology Recruitment for Deputy Registrar, Admissions.